A female railway clerk in Lucknow committed suicide by jumping to death from a four-storey building (below) in her colony after being allegedly sexually harassed by her colleagues at work. The woman, unnamed, hailed from Nalanda, Bihar and was a clerk at the Railways in Lucknow. She lived alone in her government accommodation in the railway colony. According to the suicide note she left in her room, police claimed that she was sexually harassed by two seniors and four other colleagues in the office. The note is under examination at the Forensic Science Laboratory for a handwriting check. Sumit Kumar, her neighbour, found her body on Sunday morning around 6 am and informed the UP police. When the police took her to King George's Medical University Trauma Centre, the woman was declared brought dead as she had suffered several fractures in the skull. "In the suicide note, she alleged that during working hours she was made to run outside for the work of her seniors. Colleagues used to sing vulgar songs aimed at her. Once a colleague misbehaved with her. When she reported the matter to a senior, the latter rebuked her instead," said Circle Officer Sanjeev Sinha at the Alambagh Police Station whom the suicide note was addressed to. A blank diary was also recovered from her room added the officer. Actions will be taken against the accused once an FIR has been lodged and her handwriting in the note is verified. 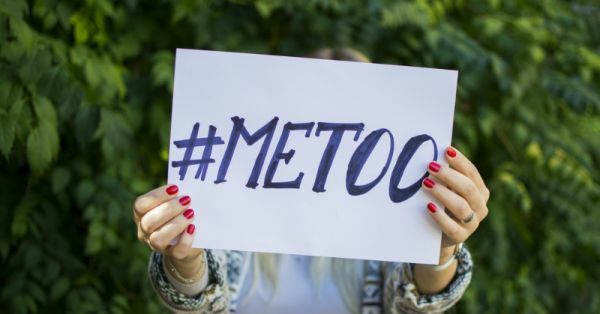 The Sexual Harassment of Women at Workplace (Prevention, Prohibition and Redressal) Act, 2013 is a legislative act in India that seeks to protect women from sexual harassment at their place of work. According to the law, as provided by the Constitution of India under the Indian Penal Code (IPC), penalties range from one to three years of imprisonment and/or a fine. Sexual harassment is a crime and employers are obligated to report offences.